Draconic is the language of the dragons. Draconic is an obscure tongue only spoken by a few scholars, for native speakers — dragons — are seldom encountered. The Draconic language is made up of husky syllables and has a growling sound. Am dakana = For all. Belan shi = Thank you. Mel andilar borun miranol = Your suffering shall be legendary. Reln nu ramani ar ravelahn = Let the will of this puppet be broken. Thorel osh'onza. = Insolent young elf. Anar'endal dracon belora. - Said by Kalecgos during  Balance of Power. May also be one of the elven dialects. This is the list of words created by the in-game language parser for the Draconic language, and is listed as language number eleven (word range 902-1028) in the Language text file. In the in-game translator, the word list for Draconic is similar with the ones for the Draenei, Eredun (Demonic) and Titan languages. Note: The language algorithm used by the in-game "translator" merely makes the words LOOK like Draconic. It does not actually use a specific dictionary. Therefore, translated in-game speech isn't true Draconic. Some draconic words may be learned from various pieces of equipment. However, none of this has been verified and is just speculation. "Ashjre'thul" = "Crossbow of Smiting"
"Crul'shorukh" = "Edge of Chaos"
" [Lok'amir il Romathis]" = "The Hand of Nefarius"
"Mish'undare" = "Circlet of the Mind Flayer"
As with many other features of the Warcraft setting, many of the languages are derived from the Dungeons and Dragons role-playing game - not in the sense of the actual languages, but in what kinds of languages are present in a given world. In Dungeons and Dragons, there are many languages that are based on a single species/race or a collection of related species or races, including Draconic. Draconic is not only spoken by dragons, but is also the native tongue of various reptilian creatures, in particular reptilian humanoids such as kobolds, troglodytes, and lizardfolk. Wizards also study draconic, as many ancient spells are written in the language, as do the elves, who favor the practice of wizardry. With the release of Patch 3.0.2, a number of characters were granted the ability to speak Draconic, for unknown reasons. For example, all gnome rogues on the Shadow Council US server gained the ability. The ability was widely reported among gnome rogues, and appears to have largely been limited to this race and class combination, although some players reported dwarf rogues gaining the language. 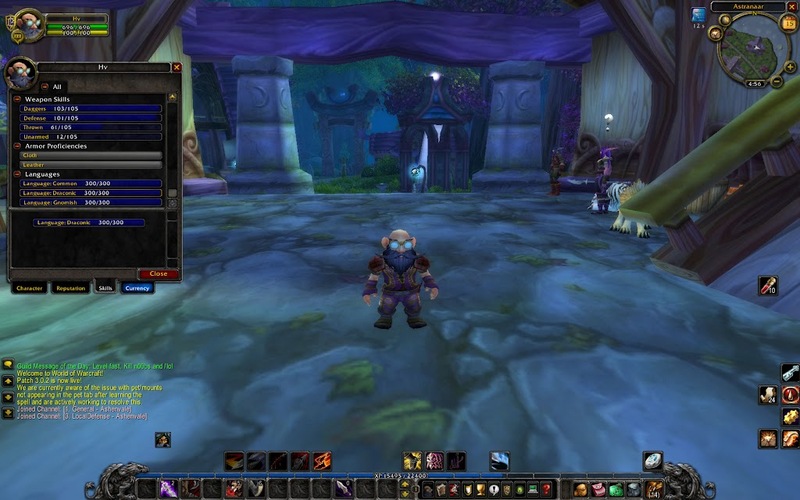 Some gnome rogues have since reported the ability to no longer work, likely following fixes with Patch 5.0.4, which also removed the Titan language skill from many rogues. This page was last edited on 14 December 2018, at 01:28.